Sony has revealed the first tidbits of information for its next-generation console--most likely named PlayStation 5, but that hasn't been confirmed. In an interview with Wired, Mark Cerny, lead system architect for PlayStation 4, talked about his work on the PS4's successor. In the interview, Cerny confirmed the next-gen PlayStation is partially based on PS4 architecture, which means that it is backwards compatible. Cerny also revealed that it is not an all-digital device, and will accept physical discs. Wired's article describes the transition from PS4 to PS5, as indicated by Cerny, as a "gentle one," adding that numerous games will be released for both PS4 and the next-gen console. The description of a gentle transition indicates that the PS5 will be an iteration on the PS4, instead of being drastically different the way the PS3 was from its predecessor. Housed in the console will be an AMD chip that has a CPU based on the third-generation Ryzen. It'll have eight cores of the seven-nanometer Zen 2 microchip. Although the console will support 8K, displaying at this resolution will be dependant on TVs catching up. The graphics, meanwhile, will be driven by a custom version of Radeon's Navi line. This graphics chip will support ray tracing, something which is starting to become popular in movies and video games. Although it is traditionally thought of as a lighting technique, Cerny says that there are implications beyond creating realistic environments. "If you wanted to run tests to see if the player can hear certain audio sources or if the enemies can hear the players' footsteps, ray tracing is useful for that," he explained. "It's all the same thing as taking a ray through the environment." In fact, audio is one the main improvements Cerny is keen to talk about. The AMD chip will enable 3D audio, and this, according to Cerny, is key to immersing players deeper. This naturally led to discussions of PlayStation VR, and while Cerny didn't confirm whether a new version of Sony's headset will be released, the existing one will be supported. "I won't go into the details of our VR strategy ... beyond saying that VR is very important to us and that the current PSVR headset is compatible with the new console," he confirmed. Another key leap the next PlayStation will make comes through its hard drive. According to Cerny, developers let Sony know that what they want solid-state drives in the new hardware, as opposed to the slower equivalents used in current consoles. These SSDs are relatively prevalent now in laptops, and what Sony is bringing to the next PlayStation is described as being specialized for the hardware. Cerny demonstrated the change an SSD introduces to gaming by comparing a load sequence from Insomniac's Spider-Man on a standard PS4 Pro and a dev kit of the next-gen PlayStation. On the former, it was around 15 seconds, while on the latter it was 0.8 seconds. This, Cerny added, has implications on how the world can be rendered too, which in turn impacts how quickly Spidey can move through the world. On the new hardware, the camera moves through the city much quicker, as the hardware is capable of keeping up with rendering requirements. Discussing the SSD, Cerny said "the raw read speed is important, but so are the details of the I/O [input-output] mechanisms and the software stack that we put on top of them. I got a PlayStation 4 Pro and then I put in a SSD that cost as much as the PlayStation 4 Pro—it might be one-third faster." Cerny didn't provide any details on any of the services or a broader overview of PlayStation's vision for the next-generation of gaming, instead focusing on the nitty-gritty of its hardware. It is currently unclear when the console will be fully unveiled. Traditionally, Sony would has debuted its new PlayStations at E3, but the company will not have its usual press conference this year. This leaves PlayStation Experience, one of its new Nintendo Direct-like State of Play streams, or a standalone PS5 announcement event as possibilities--that is assuming it plans to reveal the PlayStation 5 this year. It is also unclear when Sony plans to launch the PS5. In May 2018, Sony's head of PlayStation, John Kodera, said the new PlayStation was three years off. "We will use the next three years to prepare the next step," he said, "to crouch down so that we can jump higher in the future." While Sony's plans are still largely unclear, Microsoft's are starting to come into focus. The company is set to have an E3 press conference this year, and head of Xbox Phil Spencer said it is going to go "as big at E3 as we've ever been." In 2018, Microsoft confirmed that a new Xbox was in development, and it is expected that we'll see this next-generation console at E3 2019. More immediately, it has been suggested that an all-digital Xbox One S will be announced soon. As the name indicates, this new console would not accept physical discs and designed around downloading and streaming. 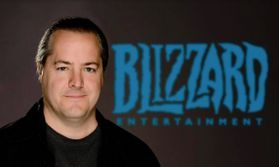 Blizzard President J Allen Brack. Blizzard Entertainment. Blizzard Entertainment, one of the biggest names in the video game business, has begun a significant round of layoffs. The move confirms earlier reports from Bloomberg. On its quarterly earnings call on Tuesday afternoon, parent company Activision-Blizzard announced that it would lay off 8% of of its workforce, representing some 800 out of about 9,600 total jobs. The layoffs were first reported by Kotaku, and appear to primarily affect Blizzard itself. The layoffs will ultimately affect every part of Activision-Blizzard, including "Call of Duty" publisher Activision, "Candy Crush Saga" maker King, and Blizzard itself, which is responsible for flagship gaming franchises including "World of Warcraft," "Overwatch," "Hearthstone," and "Diablo." The news comes after Activision-Blizzard reported mixed results for its holiday quarter, and gave guidance that fell short of Wall Street expectations. While earnings were ahead of expectations, revenue fell short. Shares of Activision-Blizzard have just about halved since October 2018. "In-game execution was inadequate in some of our franchises, and we saw weaker-than-anticipated retail demand," Activision-Blizzard CEO Bobby Kotick told investors on the earnings call, according to CNBC. Despite owning a catalog of fan-favorite titles including "World of Warcraft," "Diablo 3," and "Destiny 2," Blizzard has seen some of its thunder stolen by free-to-play newcomers like "Fortnite" and "Apex Legends." Meanwhile, "Overwatch," Blizzard's newest franchise, was a smash hit when it landed in 2016, but has slowly lost ground to rival titles with more frequent updates, including "Call of Duty" and "Rainbow Six: Siege." In a memo to staff obtained by Business Insider sent before the earnings call, Blizzard President J. Allen Brack promised an "comprehensive severance package" to affected employees. The memo says that managers have begun notifying affected employees if they're affected by the layoffs. In a separate blog post released to the public, J. Allen Brack reassured fans that Blizzard isn't slowing down on game development. "With that in mind, we have plans to add to game development," he wrote. "We are dedicated to bringing you more content across existing game franchises and bringing our unannounced projects to life. A person close to the company previously told Kotaku's Jason Schrier that the layoffs are expected to hit Blizzard's esports and publishing divisions especially hard. Blizzard has spent the last several years supporting professional competition for its most popular games, including "Overwatch," "Hearthstone," and "Starcraft." Notably, it seems that Blizzard esports head Amy Morhaime left the company in December, according to her LinkedIn. That came just months after Blizzard cofounder Mike Morhaime, her husband, announced that he would step down as president of the company. Morhaime is staying on as a strategic advisor to Blizzard through April. As they brace for today's layoffs, Blizzard employees are crying and hugging in the parking lot, according to a person there. Still no official word from the company, but people in publishing and esports are expecting big cuts. Earnings is at 5pm ET - news should be around then. Beyond Amy Morhaime and Mike Morhaime, Activision Blizzard has lost other key executives, including CFO Spencer Neumann. More recently, Activision Blizzard sold the commercial rights to flagship online shooter "Destiny 2," in a mutual agreement after the game's developer, Bungie, opted to split from the company. Activision Blizzard cited underwhelming sales for the "Destiny 2: Forsaken" expansion as one of the reasons the company underperformed during the third quarter of 2018. In that quarter, the video game publisher reported a 5% decline in earnings over the same period of 2017, and revenue over the same quarter declined by 6.6% to $1.151 billion. Blizzard has reportedly been working to cut costs since early last year. Employees at Blizzard told Kotaku that they were repeatedly told to reduce spending by former CFO Amrita Ahuja, who left in January 2019. In December, Eurogamer reported that Blizzard negotiated buyouts for more than 100 customer service employees based in Ireland. Today is a difficult day, and I have some hard decisions to communicate. The Blizzard leadership team and I have been talking a lot about how we want to build on Blizzard's legacy and what the priorities are for the company going forward. Our top priority is to continue making great games, and entertainment experiences. It's critical that we prioritize product development and grow the capacity of the teams doing this work to best serve our player community. We also need to evolve operationally to provide the best support for new and existing products. As a result, we've made the decision to change parts of the organization, which I'll share more about in a separate email later today. Unfortunately, these changes come with a harder reality. Over the last few years, many of our non-development teams expanded to support various needs. Currently, staffing levels on some teams are out of proportion with our current release slate. This means we need to scale down some areas of our organization. I'm sorry to share that we will be parting ways with some of our colleagues in the U.S. today. 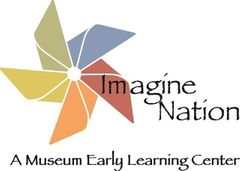 In our regional offices, we anticipate similar evaluations, subject to local requirements. There's no way to make this transition easy for impacted employees, but we are doing what we can to support our colleagues. In the U.S. we are offering a comprehensive severance package, extended health and benefits continuation, profit sharing for 2018, career coaching, and job search/placement assistance. These people are members of the Blizzard Family—they care deeply and contributed greatly to the work we are all committed to. We are extremely grateful for their contributions here at Blizzard. Managers in the U.S. will meet with impacted employees this afternoon, and we will be following up with team meetings later today and tomorrow. The managing director in each regional office will provide an update to explain in detail what this means for employees in their respective locations. I will also post a message to the community about the changes this afternoon, so our players understand that these measures do not affect our game development efforts, and are not related to any individual franchise. If anyone from the press or a fansite contacts you, please refer them to Rob Hilburger on the communications team. This is a lot to take in, and it is not going to be easy. Let's do our best to support each other through this process. I know many of you will have questions. In addition to my follow-up note later today, I'll be hosting a fireside chat this Thursday to provide more details about the organizational changes. As always, in the meantime, reach out to me or any member of the exec team if you have questions. Activision Blizzard achieved record GAAP revenue and EPS for both the fourth quarter and the year, and we also achieved record segment financial results across Activision and King in 2018. While we performed well in these areas of our business last year, and continued to make progress in mobile, advertising, and esports, we ultimately did not meet our own, nor our communities', expectations for content delivery and growth. As a result, we're taking important steps to reinforce our foundation for future growth. We're increasing our investment in game development across our biggest franchises, mobile and geographic expansion, as well as in adjacent opportunities with demonstrated potential, like esports and advertising. Over the course of 2019, we plan to increase the number of developers working on our key franchises by approximately 20%, ultimately allowing us to put even more content into the hands of existing and new fans around the world. To fund this investment, we are de-prioritizing initiatives that are not meeting our expectations and reducing certain non-development administrative expenses across the company. We are also bringing together our regional sales, partnerships, and sponsorships capabilities enabling us to better leverage our talent, expertise and scale. We're confident in our plan and the leadership teams in place who will navigate us through this time of change. These actions will allow us to return to the franchise focus that has fueled our long-term success so that we can bring the most epic entertainment to our players around the world. Want to post your ads on our site? 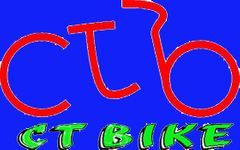 We have the cheapest prices. We accept Paypal & Checks. This is the crusade begun in Norway at the beginning of 2018. It was taken to Germany because Nintendo of Europe resides there. After months of work the VZBV, off the back of the work the Norwegian Consumer Council has done, will go ahead with formal proceedings, according to Norwegian site PressFire. It's all expected to begin in three-to-four weeks, but could take more than a year to reach any kind of verdict. The outcome, though, could have consequences right across the European Union. Imagine being a part of that, wistful sigh. The eShop policy in question is Nintendo's refusal to allow cancellations and refunds of eShop games, even pre-ordered way before release. The Norwegian Consumer Council said this breaks European law, but Nintendo said the pre-loading process - whereby the game can be downloaded ahead of release - means it doesn't. Nintendo cited article 16 of European Consumer Law Directive 2011/83 in defence, which says it doesn't have to allow cancellation if "the performance has begun with the consumer's prior express consent, and with the acknowledgement that he will lose his right of withdrawal once the contract has been fully performed by the trader". But as the Norwegian Consumer Council originally argued: "The company plainly states that all purchases are final. According to the right of withdrawal laid down in the Consumer Rights Directive, such terms are illegal. 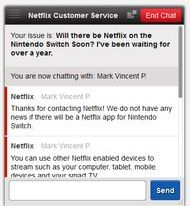 Until the game can be downloaded and launched, the seller cannot prohibit the consumer from cancelling their pre-order." Whether Nintendo's interpretation will withstand scrutiny in court we'll have to wait and see. Alongside ZeniMax, Nintendo is probably the next biggest litigious gaming company within the industry. 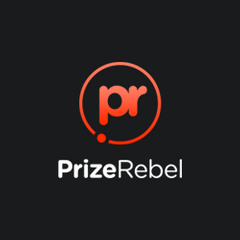 The company is known for getting serious when it comes to protecting its brands and ensuring that copyright infringers are punished to the fullest extent of the law. As you can imagine, those selling NES Classic Editions with pirated software were basically trapped in a proverbial alley like a mugger facing off against Batman. The Hollywood Reporter is reporting that Nintendo has sued a man named Mikel Euskaldunak in Orange County, California. Nintendo claims that he was taking Nintendo Switch consoles and modifying them using the hacking tools that were released at the start of the year. 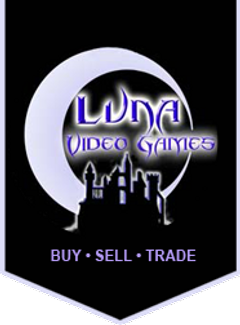 Not only was he modifying the Switch to run homebrew software, he was also filling them up with games and selling them, which his a huge no-no in the realm of the Digital Millennium Copyright Act. But his troubles didn't end there. Euskaldunak was also swept under the legal hammer of Nintendo for modifying the NES Classic Editions and selling them. It wasn't just that Euskaldunak was reselling the NES Classic Editions -- plenty of scalpers have been reselling NES Classic Editions all over eBay, and Nintendo wouldn't have a leg to stand on while challenging the First Sale Doctrine. However, Euskaldunak allegedly filled up the NES Classic Editions with more than 800 NES ROMs. Now modifying and selling the console is one thing, but selling them with ROMS packed on them that were not part of the original package is what Nintendo has a problem with. According to the article, the systems were sold with 800 pirated games. This is interesting because rapper Soulja Boy recently released the SouljaGame Handheld and SouljaGame Console. 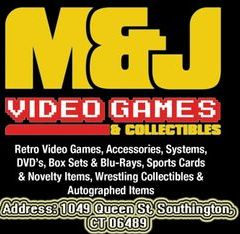 Both come with hundreds of games from a variety of game consoles, mostly retro systems from the 16-bit era, including the Neo Geo, the Sega Genesis, and the SNES. Both systems sell for over $100, and one must wonder if Nintendo has caught wind of this operation yet? For now, the company seems to be focused on Euskaldunak and a few other unnamed defendants who have been gathering, modifying, and selling the Nintendo Switch and NES Classic Editions for some extra cash. 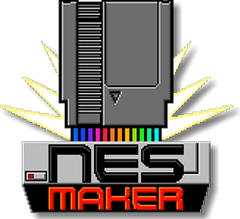 Nintendo is also arguing that the operation dilutes its trademarks and wants to have the court bar Euskaldunak from making or distributing modified systems. It's an interesting case because one has to wonder -- if Euskaldunak sold the systems without any games on them, would Nintendo have still come after him? Also, was it the mixture of selling hacked Switch hardware and the NES ROMs that brought the hammer down? What if it were a modified Switch and a modified NES Classic Edition but no ROMS? Or if it were just a standard Switch and a modified NES Classic Edition? Either way, this kind of lawsuit is unsurprising given that Nintendo also put some legal muscle on a go-kart company for mimicking Mario Kart, and the company also recently had a pair of emulation sites shut down as well with a $12 million settlement. Given Nintendo's track record for lawsuits, it's unlikely that Mikel Euskaldunak will walk away unscathed. Federal Trade Commission chairman Joseph Simons on Tuesday said he would investigate video game loot boxes to ensure that children are being protected and parents are educated on the matter. Simons testified Tuesday before the Senate Commerce Subcommittee on Consumer Protection, Product Safety, Insurance, and Data Security about the commission’s work. Following his testimony, a number of senators asked Simons questions on an array of topics. 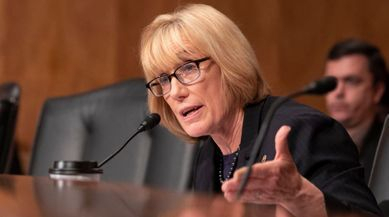 Senator Maggie Hassan (D-NH), who brought up the issue of loot boxes in video games earlier this year, asked the FTC to launch the investigation and Simons confirmed he would. The request comes about nine months after Hassan sent a letter to the Entertainment Software Ratings Board asking for the group to review the ratings process as it relates to loot boxes, examine the marketing of loot boxes to children, and put together best practices for developers around the toxic form of microtransactions. The senator also asked the board to conduct a study that further delves into the reach and impact of loot boxes in games. At the time, she said if they didn’t take sufficient action she would ask the FTC to get involved. During Tuesday’s exchange, Hassan noted that she believes the problem of loot boxes, which are sold for real cash in some games and packed with in-game mystery items, continues to grow. “Earlier this year, the confirmation hearing for most of you, I discussed the possibility of the FTC examining the issue of children in the video game space,” she said. “Specifically we discussed loot boxes, which allow end-game purchases with real currency for surprise winnings, and most of you agreed this is an area that could use additional oversight by the FTC. “Loot boxes are now endemic in the video game industry and are present in everything from casual smartphone games to the newest, high-budget video game releases. Loot boxes will represent a $50 billion industry by the year 2022, according to the latest research estimates. Children may be particularly susceptible to engaging with these in-game purchases, which are often considered integral components of video games. Just this month Great Britain’s gambling commission released a report finding that 30% of children have used loot boxes in video games. The report further found that this exposure may correlate with a rise of young problem gamblers in the United Kingdom. Belgium, Netherlands, and Japan have moved to regulate the use of loot boxes in video games given this close link to gambling. Earlier this year, the ESRB said it would continue to make enhancements to ensure parents continue to be well-informed as the industry evolves. The group did not directly address what it might do in terms of loot boxes, microtransactions, and ratings. Despite news of the investigation, the Entertainment Software Association continued to defend the use of loot boxes. 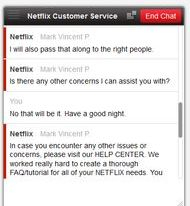 Reached for comment Tuesday evening, Hassan told Variety that the issue requires FTC intervention. 8-year-old rapper DeAndre Cortez Way, aka Soulja Boy, has begun selling SouljaGame branded consoles and handhelds, though it turns out, they’re really just off-brand emulators that can be found elsewhere. Soulja Boy, best known for his 2007 #1 hit Crank That (Soulja Boy), tweeted about the console and handheld early this morning, bringing followers to his personal storefront, SouljaWatch, which also sells bluetooth headphones, smartwatches and more. However, fans immediately noted that these are not original systems, and can be found elsewhere for much cheaper than what Soulja Boy is offering. 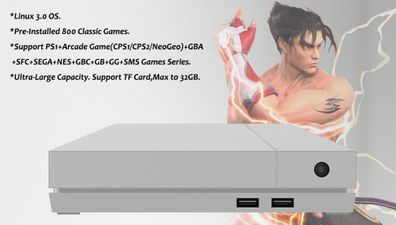 The SouljaGame Console allegedly includes over 800 preinstalled games (though no concrete list is given), AV and HDMI outports, two DualShock-esque controllers, is visually similar to an Xbox One S, and runs on Linux 3.0 OS. It also claims to output at a 4K resolution, though the included games come from the PlayStation 1, Arcade, Nintendo Entertainment System, GameBoy Advance and more. Tekken and Tomb Raider key art is used in the site’s promotional materials, though it’s unlikely permission was given to use these IP - IGN has reached out to Bandai Namco and Square Enix for comment. The SouljaGame Handheld allegedly has over 3,000 pre-installed games with the ability to download more and sports a 3-inch screen. Unlike the SouljaGame Console, the website claims the device can run Switch, 3DS, Vita titles and more, though games in the key art mostly appear to be GameBoy Advance titles, and there’s no claim on the image that any of those devices are supported. However, these exact same emulated devices can be found on manufacturer ANBERNIC’s preferred online storefront, both for much less than what SouljaBoy is offering. They are both listed at a base price of $200 on SouljaWatch (though are currently discounted) while on ANBERNIC’s website the base price for the handheld is $73 and the console is running for $106. They can both be found on Amazon for cheaper prices as well. Soulja Boy has publicly been a fan of video games for quite some time. He’s also been a bit of an entrepreneur, announcing a web-based animated series after the release of his second album, and has continued making music since. Disney’s “Ralph Breaks the Internet” dominated the Thanksgiving box office, generating a massive $84.6 million at 4,017 locations over the five-day holiday period and $56 million for the weekend. Propelled by solid word of mouth, the Disney animated sequel now ranks as the second-best Thanksgiving debut ever, behind another Disney title, “Frozen,” which earned $93.6 million during its first five days. “Ralph Breaks the Internet” carries a hefty $175 million production budget, so it will need to keep up momentum worldwide to turn a profit. 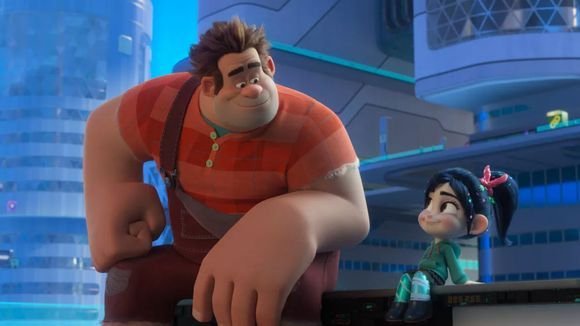 “Ralph Breaks the Internet” sees John C. Reilly and Sarah Silverman reprise their roles from “Wreck It Ralph” as the video game villain and his best friend navigate the internet. The original film picked up $49 million over its first three days of release. “Ralph” wasn’t the only sequel to thrive this weekend. MGM and New Line’s “Creed II” was a knockout as the boxing drama earned $55 million from 3,350 venues over the five days and $34 million for the weekend. That marks the best debut for a live-action film during the holiday frame. Those numbers also top the start of “Creed,” which launched with $29 million over the three-day frame. “Creed II”. 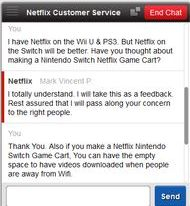 A few months back, Nintendo was hellbent on stopping just about anyone who hosted a website that allowed users to download pirated ROMs of their games. Before you knew it, DMCA’s were sent out and multiple ROM sharing websites disappeared overnight. However, for two of the larger sites, LoveROMS and LoveRetro, Nintendo ended up filing a lawsuit against them. Both of which were run by Jacob Mathias and his wife. Both sites are believed to be operated by Jacob Mathias and his Arizona company Mathias Designs LLC. They offer access to a wide variety of ROMs, including many Nintendo games According to the lawsuit, both sites were notorious online hubs, and they weren’t looking to preserve gaming. Since the suit was filed, both sites have been taken offline. Attempting to go to either of the domains will now show an apology. 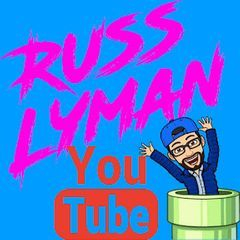 Read more at The Outerhaven: Nintendo Wins Lawsuit Against The Owners Of LoveROMS And LoveRetro. 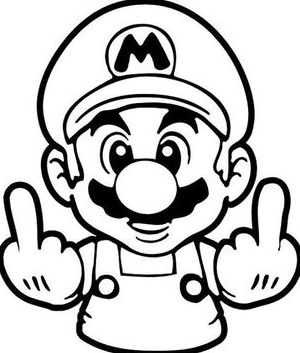 Today we found out, thanks to TorrentFreak, that Nintendo ended up winning that lawsuit, with the defendants agreeing to a $12.23 million dollar judgment in favor of Nintendo. In addition, they will have to turn over all ROMs they have that infringe on Nintendo’s properties, as well as their domain names. Though, I’m sure that due to some behind the scenes negotiating, that original judgment will be reduced. Needless to say, that this sets a precedence when it comes to ROM sharing. In a nutshell, don’t mess with Nintendo or they will essentially sue you out of existence. So here we are again, questioning the legitimacy of ROMs as a whole. Sure, it’s understood that as long as you own a copy of a game, you are legally allowed to make a backup of it. Of course, that also means that backup shouldn’t be distributed to the entire internet. 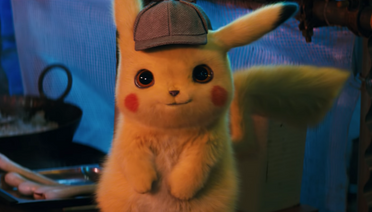 However, even with that practice being legal, there are companies, such as Nintendo, that regardless if you own the game or not say it’s totally illegal. Fair use laws or not. By now you’d think there would be a clearcut answer regarding ROMs. But there isn’t. On one hand, you could argue that as long as I own the original game, I can download a ROM and use it as I wish. Sure, that makes sense and you cite reasoning for downloading to not being able to do it on your own. However, that download has to come from someone else, who may or may not own that game. Which could also be argued that since that can’t be proven, you’re now downloading an illegal copy. 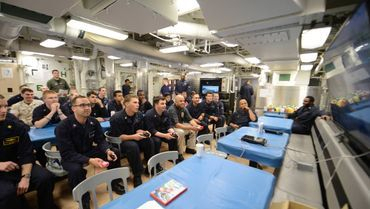 Can Video Games Train Sailors? Blasting virtual zombies, aliens and gangsters, while cathartic, might not seem intellectually stimulating, but studies cited by the National Academy of Sciences and other peer organizations show the time you spend vaporizing said creatures actually sharpens a range of cognitive skills—including better multitasking, increased attention span, faster reaction time and greater visual acuity. One unanswered question, however, is what specific components of first-person shooters and other action video games like Call of Duty, Halo, or Grand Theft Auto contribute to this cognitive improvement. America’s Navy is keenly interested in determining the answer to that question. The Office of Naval Research (ONR) has thrown its support behind the work of Dr. Shawn Green, a psychology professor at the University of Wisconsin-Madison, who is partnering with a video game developer to build a customized game that incorporates design elements used widely throughout the industry. This knowledge will enable the Navy to better leverage the emerging technology for job training—specifically jobs that require substantial practice time on computer simulators and virtual reality displays. These jobs include Sonar Technicians (hunting for enemy submarines), Operations Specialists (tracking ships and planes on radar), Naval Aviators, and surgeons—all of whom are critically needed by the fleet. "We know people will spend hours playing a video game," said Dr. Ray Perez, a program manager in ONR's Warfighter Performance Department. "Is there a way to use some of those entertainment elements to design training that will keep Navy warfighters engaged, help them learn faster, and perform their jobs better? What is the secret sauce?" To identify those ingredients, Green and his laboratory team worked with a game developer to create a first-person shooter fantasy product called “Elemental,” which can be played on a laptop or desktop computer. More Harry Potter than Halo, players of this game launch magical spells at otherworldly creatures rather than bullets or lasers. It was intentionally kept non-violent because designers may produce a kids' version in the future. Green and his team stuffed “Elemental” with gameplay features thought to boost human learning and cognition: changing background colors, rapidly appearing and disappearing objects, missions of varying complexity and intensity, and enemy characters that attack at unpredictable speeds. Green completed work on the game last year and is now concluding experiments with student volunteers, who get their brains scanned before and after gaming sessions. Green checks the scans for changes in regions of the brain associated with vision, attention, perception, and motor skills—and what effects these could have on learning and cognition. When the experiments are finished, Green will finalize a new, more refined version of the game for America’s Navy to help future Sailors become expert Navy warfighters.